Our (‘Your’? ‘The’?) boys were amazing! Fifth place for the A Team was the highest we have ever recorded, and the B Team’s thirty-third was an excellent result for a team comprising two Y6s (who had been told to ‘jog around’ ahead of the Kent Junior Championships the following day) and one boy making his debut for the school! 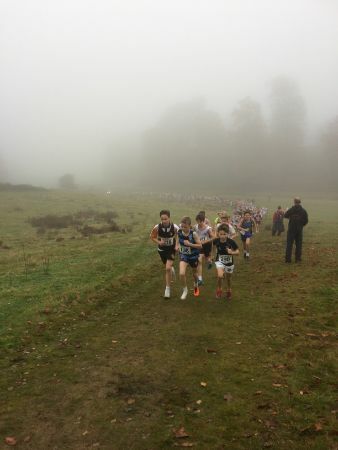 Over two hundred and thirty boys from twenty three schools elbowed and jostled for space on the start line in ‘The Spur’ of a misty, murky Knole Park, awaiting the starter’s gun. As they thundered down the valley, Charlie E was accidentally spiked (one of the perils of cross country running), resulting in the loss of a shoe – it is testament to his determination and resilience that he ran the rest of the 3.4km in his sock, finishing in a superb tenth place. The runners swept around into the ‘Long Valley’ and up the course’s major hill into the woodland at the top. Ellison VR (27) and Jasper S (29) – the first time we have had three boys in the top thirty! – were strong on the hill, working their way through the field and, at the back, Jack E (170) and Billy BF (183) who had brought up the field on the first bend, made strong progress, moving steadily through the other boys as they ascended the narrow track. Returning to the valley floor, the boys were then faced with the prospect of ‘The Shute’, a significant additional hill which really taxed their tired legs. 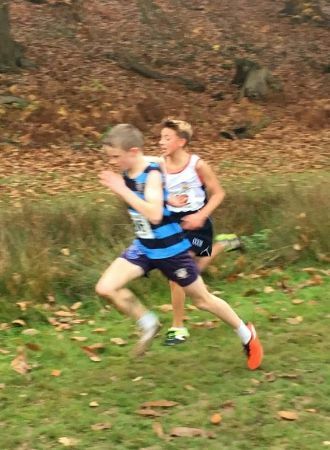 Despite his lack of spikes/studs on the muddy incline, Archie W (63) kept his footing and looked strong, while Max R (94) was impressive in his determination and progress – finishing in the top one hundred is an achievement of which to be proud! The relief of cresting the summit of the hill is offset by the knowledge that, with only 600m to go, the race for the finish requires depth of grit and tenacity. A gentle downhill quickly becomes a steeper drop and a sharp, slippery right turn with a final 200m to the finish. Henry E (115), in his first race for the school dug deep, his tired legs twinkling past several competitors as he headed for home and Bertie A (169), having run shoulder to shoulder with teammate Jack E for most of the race, just edged the place on the finish line, both boys having put in a real sprint for home. 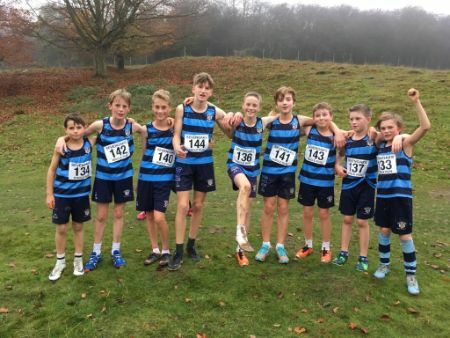 These words cannot do justice to the pride we feel in all the boys; Junior Knole is one of the most prestigious races on the cross country calendar and the boys more than earned their places amongst some of the best young runners in the South East. You were fantastic boys! Saint Ronan’s A (5th): Charlie E (10), Ellison VR (27), Jasper S (29), Archie W (63). Saint Ronan’s B (33rd): Max R (94), Henry E (115), Bertie A (169), Jack E (170). Number of finishers: 237; Winning School: The Judd; Second: The Cooper’s Coburn; Third: Brentwood School; Fourth: The Judd. Total teams: 50.